Portfolio Categories: Case Studies, Degassing, Odor Control, and Turnaround Services. An 80,000 bbl. 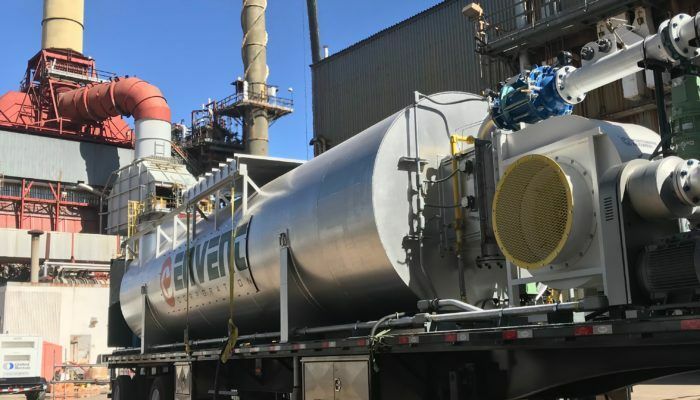 /day crude distillation unit underwent a month long planned shutdown in order to perform maintenance on their exchangers, and pressure vessels. The shutdown began with the de-inventory and decon of the unit, often heralded as an unavoidable slow measure. Depressurizations, high flow nitrogen sweeps, and liquid deinventory can lead to many unanticipated delays. Due to the relatively small size of the unit, footprint was a concern, which added an additional layer of hazards. 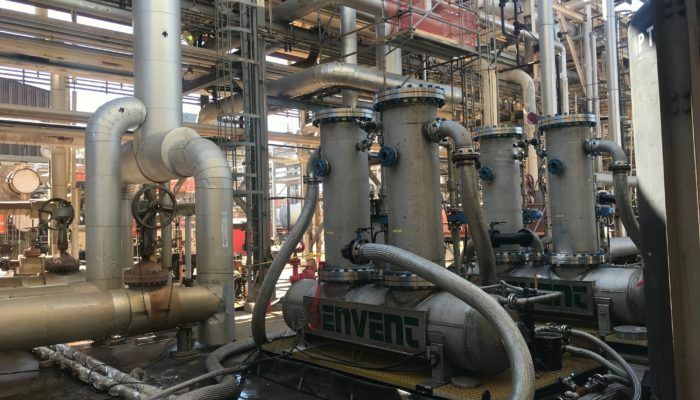 Fortunately for this refinery, Envent designed, engineered, and executed a system that mitigated any potential hazards, as well as effectively and efficiently decreased decon time by three whole days. Liquid carryover was mitigated by adding low point drains in strategic sections of the process lines. Barriers were erected to limit foot traffic through the small footprint. Hose diameters were upsized to reduce pressure drop and allow for higher flows during depressurizations. Additionally, an injection port was installed into the process line to allow for enrichment of high nitrogen flows. 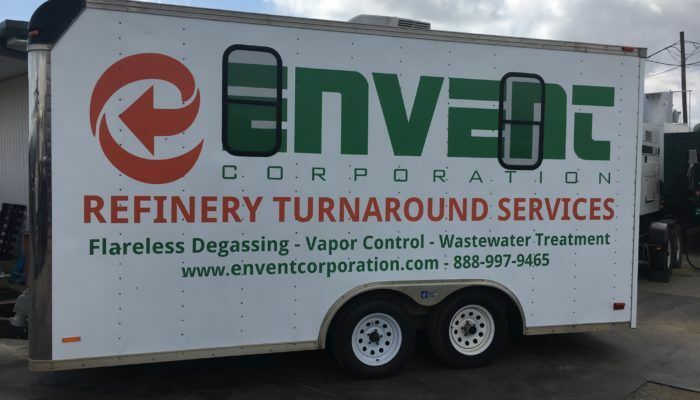 These and many other factors contributed to Envent’s success in this turnaround, which shaved off three entire days from the refinery’s schedule!